“Cheap Wine, Plastic Chairs” is a series that celebrates everyone’s favorite part of the author reading: the Q&A. This week, Matt Zoller Seitz sits down at The Strand with NY1’s Lisa Rosman and Richard Brody of The New Yorker to discuss his new book, The Wes Anderson Collection. The critic and culture writer Matt Zoller Seitz met Wes Anderson in Dallas shortly after Anderson had graduated from the University of Texas’s film school. 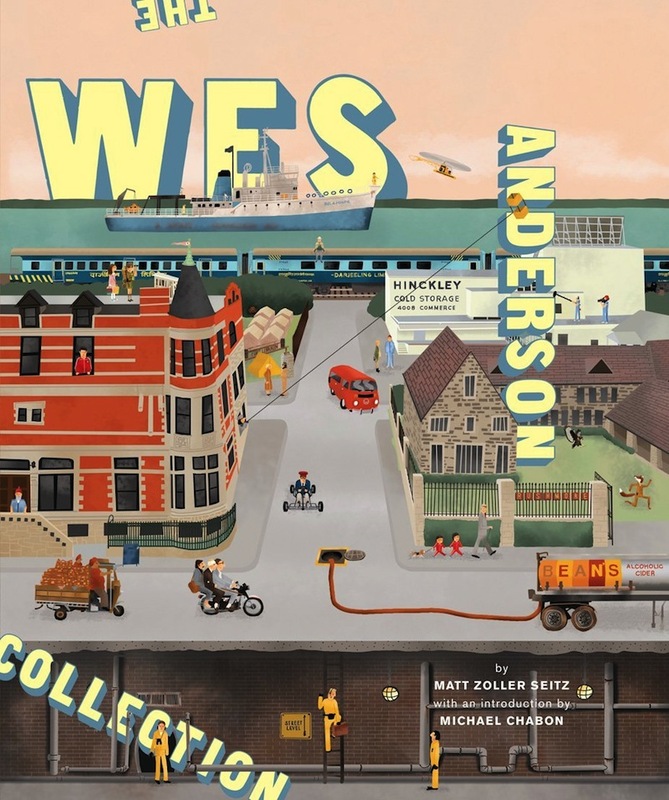 They remained in touch over the years, and now Seitz has paid tribute to his friend with The Wes Anderson Collection, an intimate look at the work of the acclaimed director. The stunning book includes interviews, exclusive photographs and a unique look at Anderson’s life and work. Lisa Rosman: Why don't we start with the fact that Wes Anderson is not the type of person who would be here with you to promote this book? Matt Zoller Seitz: No. [Laughs.] It took me a year just to get him to agree to talk to me for this book. Wes is very shy in a lot of ways. You know, he did the American Express commercial where he played Wes Anderson, but that’s a bit of a front. In reality, he's very socially awkward. When he goes out in public, he puts on the game face and acts like a guy who is very comfortable. But he didn't want to do this book. It took a year to convince him to do this book, and the reason was that he was uncomfortable with the idea of sitting and talking to someone who was doing an entire book about how interesting his films are. Richard Brody: The style element of Wes has always been obvious, and there are people who see that style and don’t sense that it’s an intensely personal thing, that it’s not an amusement but very much his choice, his way of expressing himself. MZS: We talk about that a little bit in the book, and we’ve talked about it outside the context of the book, as well: this idea of people defining themselves with their stuff, and how, you know, the things you own, the things you buy, the way you groom yourself — anyone who writes fiction or makes fiction of any kind understands this. But it really becomes externalized in his movies. Royal Tenenbaums is the strongest example of this, I think. It’s hilarious and tragic the way many of these characters dress. Richie is still wearing his tennis headband like it’s his crown of thorns. It’s great. LR: When you read the book, one of the funniest things is when you put your theories out there and it just says, “Anderson shrugs.” That being said, you were there: How does he feel about there being theories about his work? Does he himself have theories about his work? MZS: He does, but he doesn’t want to think about it too much. He’s very aware of what he does. He’s very precise in what he does. He has a very clean style. The way he frames a shot, when he cuts, when he chooses to cut, when he chooses to zoom — all of that stuff. He has a very simple vocabulary. It’s like how Hemingway writes without adjectives. With Fantastic Mr. Fox, he could have done anything he wanted. It was animated! But it’s still a Wes Anderson movie. It shows Mr. Fox, and then it panes 90 degrees to Mrs. Fox. That’s the way his mind works. That’s the way his films are.